Yummy Crock-Pot 15 Bean and Ham Soup with tomatoes, garlic, and onion. 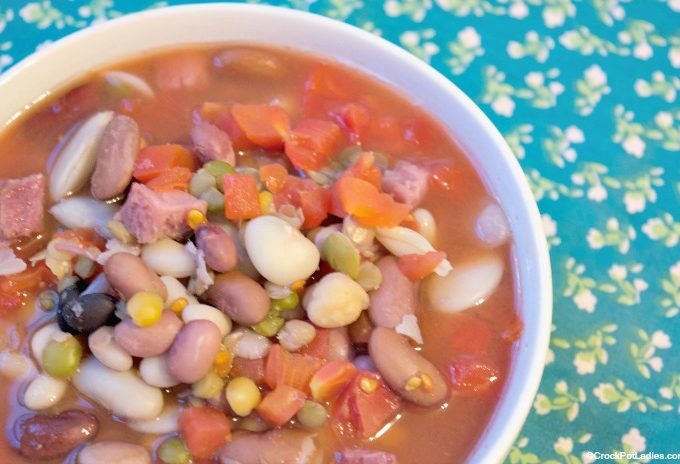 This hearty recipe hits the spot and was inspired to use up some leftover ham. 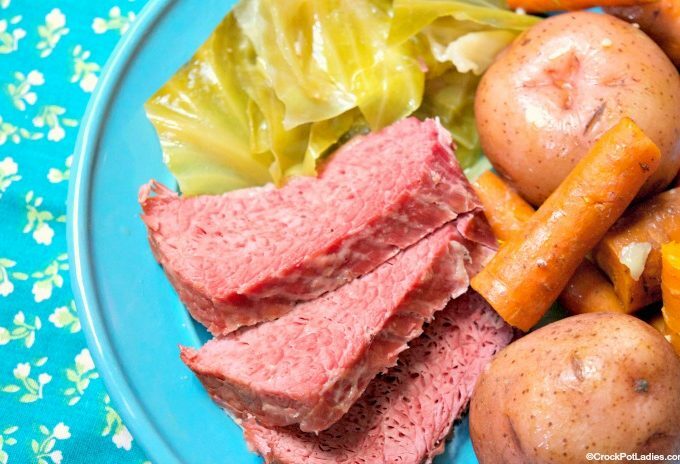 Try this one-pot recipe for Crock-Pot Corned Beef and Cabbage Dinner for St. Patrick’s day! 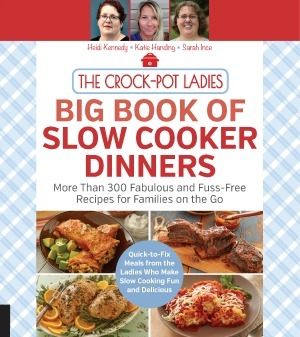 Corned beef, cabbage, potatoes & carrots are all slow cooked! 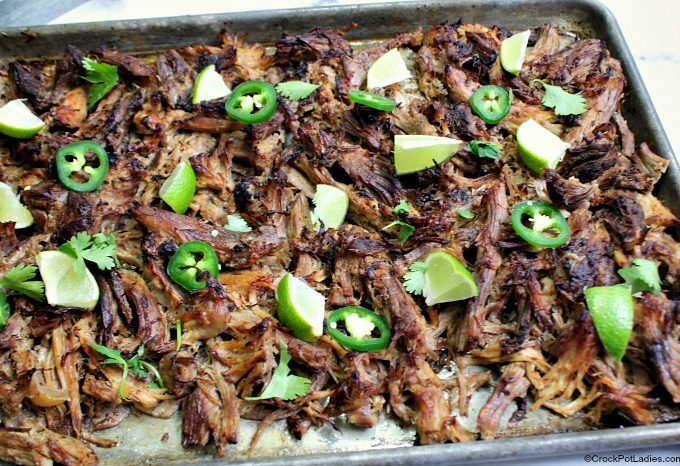 Transform a pork shoulder roast into a mouthwatering Crock-Pot Pork Carnitas. Let the meat slow cook until tender and then shred for tacos or burritos! 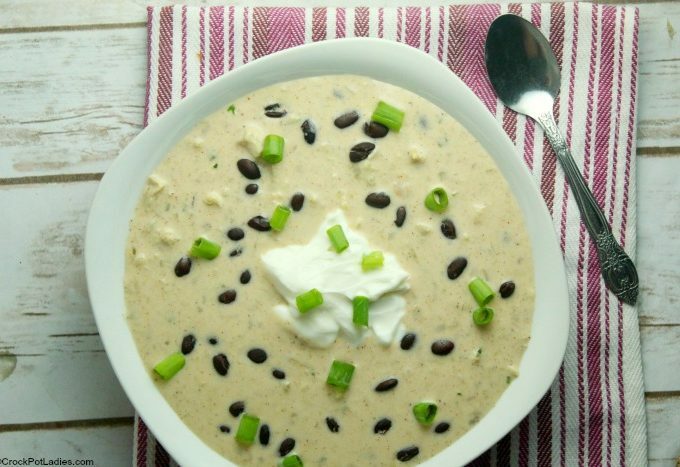 This healthy recipe for Crock-Pot Green Chili Chicken Enchilada Soup is low calorie, low fat and has just 1 Weight Watchers SmartPoint per generous serving! 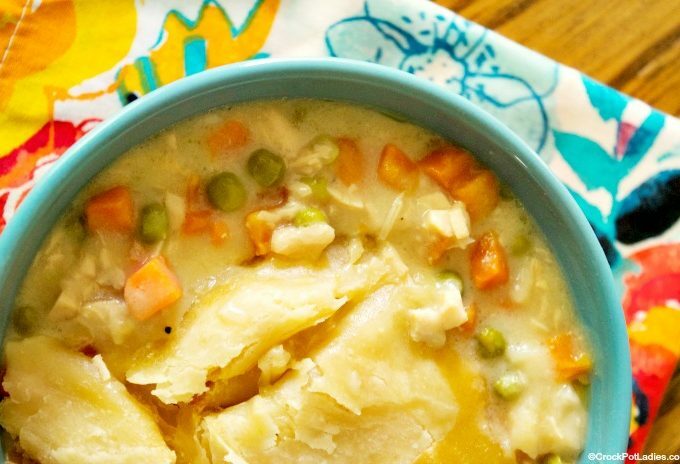 There is nothing more comforting than a homemade pot pie and this recipe for Crock-Pot Chicken Pot Pie is delicious! We make it easy for you to make this homestyle classic by cooking your pot pie right in your slow cooker!